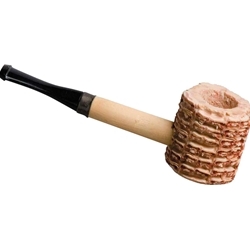 Deluxe quality corn cob pipe. Real corn cob bowl, wooden stem, and authentic mouth piece. Great for farmers, hillbillies and country folk!